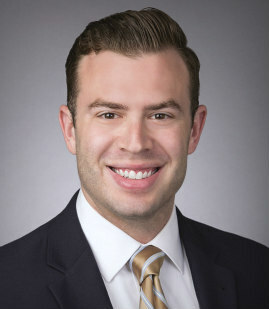 Leo Lichtman is an associate in Mitchell Silberberg & Knupp's Litigation Practice Group. Leo's practice focuses on copyright and other intellectual property litigation with a particular concentration on entertainment, media, and technology disputes. Prior to joining the firm, Leo was an associate at Oppenheim + Zebrak LLP, where he worked on cutting-edge issues at the intersection of content and technology. While at O+Z, Leo regularly advised content owners with respect to online enforcement of intellectual property, which included designing and implementing anti-piracy and anti-counterfeiting enforcement programs and engaging in all aspects of litigation, from instituting an action to final judgment. Successfully represented group of textbook publishers in numerous enforcement actions against operators of websites devoted to online piracy, resulting in damage awards totaling millions of dollars, permanent injunctions, and domain name seizures. Member of trial team representing a group of textbook publishers in a complex counterfeiting case, which resulted in a $34.2 million jury verdict for their clients, thought to be one of the largest amounts ever awarded in a textbook-counterfeiting case. Drafted amicus brief on behalf of the Recording Industry Association of America and the National Music Publishers' Association in BMG Rights Mgmt. (US) LLC v. Cox Commc’ns, Inc. before the Fourth Circuit. Represented numerous major record labels and music publishers in a high-profile copyright infringement action against an internet service provider that continued to provide services to known infringers. Counsel content owners on a wide range of issues related to copyright enforcement and the DMCA.